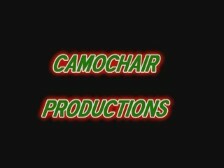 Our content is filmed in High Definition! See the videos below in full resolution by customizing the settings box in the lower right hand corner of the video. 720p and 1080p (when available) are your HD selections, and will provide crisp, clear video, at least when we filmed with the camera in focus. If you find the video is slow to load, pauses, or you experience jerky playback, you may have a slow connection, and should view them in standard definition. Select the highest resolution your computer will playback smoothly and enjoy! If you have problems with viewing, you may realize better results for playback by clicking through and viewing the video directly at the hosting source. One of the first opportunities to get out and fish in the spring is hitting the annual trout stockings. While the waters are being stocked, there is usually a brief closure period, when you are not allowed to fish. This allows the trout to spread out in the creeks, streams, and rivers, so they are not all schooled up in one spot right after they are put in the water. This year we checked the stocking schedule, and found that we were off work for opening day! Mike gave Michael, and his other friend Mike a call, and they headed out stream-side. This group has fished together more than once, notably in Frugal Fishing V, when they headed down to the shore and got some really nice summer flounder. They did not waste any time this year either, enjoying a successful morning, and catching their limits by breakfast time! So we know it might seem like we've been ignoring our fans who enjoy herping for a while. It's not intentional, we assure you. With Chris in Florida, Michael and Matthew both starting new jobs, it's been hard to find the time when everyone is available to get into the field. As it turns out, the herping desire is fairly strong. Michael has been herping as time permits, and we just discovered footage from a trip on his camera that had not, as of yet, been edited! So we wanted to lead our spring update off with this footage, since it has been a while since we produced a herping video. Most of the action was shot close to home, yet the trip produced some great finds, including several milk snakes, and snakes exhibiting some unusual basking behavior! We hopes this helps get you ready for the action that will be coming as the woods green up this spring. We know we are looking forwards to another season in the great outdoors! As spring started kicking in this year, we had to put things into high gear. Trout season had already opened, as you're probably aware, because of the video we filmed on opening day just above this one. But Mike, our friend from Mickey V Custom Turkey Calls managed to obtain permission to hunt turkey on some private land in Virgina! Now we like to keep up on our Scouting for Spring Turkey Season, so we've got a good idea where to go when the season opens. But with a last minute shot at some private property two hours away, Mike and Mike had to rise early for the two hour ride and do some "power scouting" to size up the property last minute. It was well worth the ride! After the drive back, with a free afternoon, they headed back to the stream for some more trout fishing, and Mike caught one of the biggest trout he's ever landed, a 17.5 inch rainbow that went at least 2 pounds! 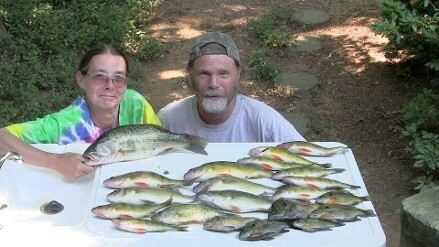 Click below and join them and see what they found! Hope you'll tag along on all our adventures, it is shaping up to be a very exciting spring this year! Not so very long ago, The Crew got together with a few good friends, and participated in what has been a lot of fun over the years for us. A summer vacation in the mountains of western Maryland at Deep Creek Lake. 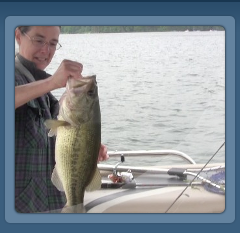 Just a few hours away from us, the lake offers fishing for a multitude of species, and we've filmed several videos there over the years, Including Frugal Fishing 2.4, while we fished from kayaks, also Frugal Fishing 6.6, as well as parts of Big Bluegills in HD. The lake is a good destination for walleye and pike, it's also teaming with big yellow perch and monster bluegill. While not an easy lake to fish, we used the methods we describe in our series How to Fish Unfamiliar Water to figure it out years ago, and have filled the freezer there ever since, every time we go. It has been several years since we visited, but the big news is that we plan yet another trip back again this coming summer. I'm sure our next trip will produce more video, and I sure hope it's as good to us as it's been in the past. Until we get our next trip under our belts, be sure to click below and join us enjoying the fantastic fishing this lake offers! As spring gets started, it can be a fantastic time to get into the field and enjoy some herping. 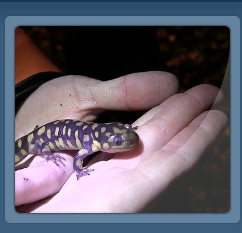 It all starts with the spring salamander migrations, and you can find a link to the video of an early spring trip exploring those on our Home Page. In this video, Michael and Desiree get out a little later in the process, finding a myriad of creatures getting their season started. It all winds up with a trip to snake den, where they find themselves in the presence of numerous pit vipers, a mixture of rattlesnakes and copperheads soaking up the suns warmth in an effort to become active after their long winter sleep. You're not going to want to miss this adventure! Be sure, we'll be in the field with the cameras rolling to bring you more soon! GET OUT THERE AND ENJOY THE OUTDOORS! One of the most fascinating salamnders in the lower 48 is know as the Hellbender. It has the distinction of being the largest North American salamander, and had been a target for Michael's herping adventure for some time. He located them in a BIG way in this video. 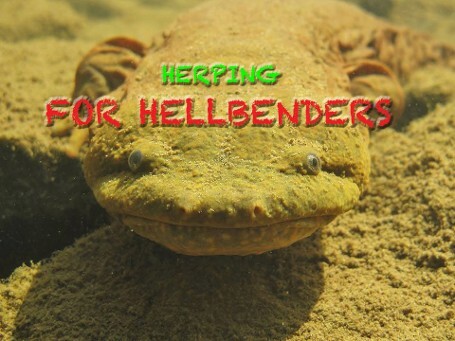 Click below and joim him as he explores the fascinating world of the Hellbender, and some of the challenges they face. 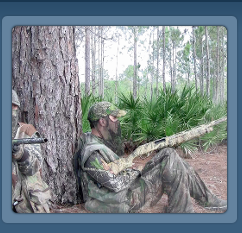 One of the most popular videos we have published to date was an adventure Chris and Michael took in Florida. 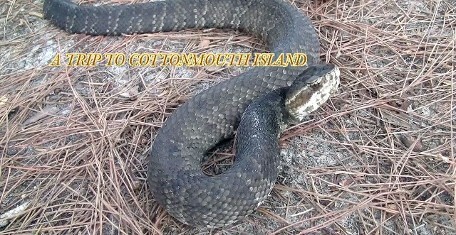 They travel by canoe to an island where the cottonmouth snake abounds! You can click below and join them on this adventure, as they explore the domain of this feared pit viper! A few years ago, Dana won a trip to a Colorado ski resort! Plans were made! Excitement was high! Mike procrastinated. The only time they wound up being able to book was in the spring. But that turned out to be a blessing. J&D Outfitters had some openings for spring turkey hunting, and Dana was able to bag her first wild turkey. 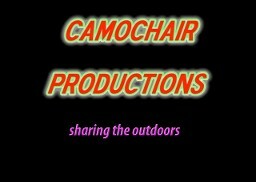 Use the link above to access the video of this fantastic hunt they had out west! 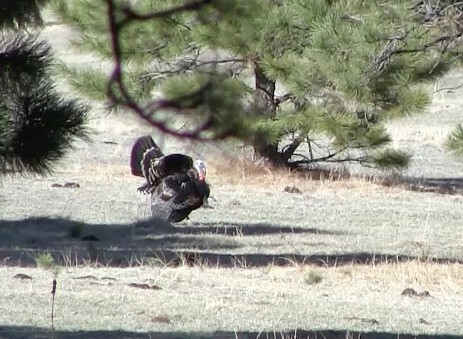 During the fall, much of our attention is focused on hunting. We take off time from work to chase deer during the whitetail rut, which is what their breeding season is called. But other seasons like duck and small game are open as well. 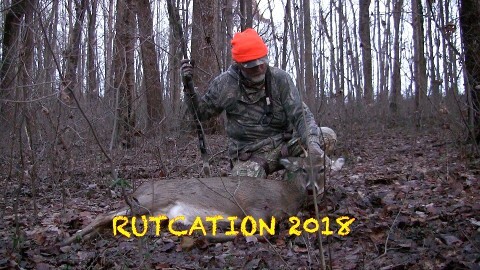 In Rutcation 2018, we share some video of all the action we enjoyed, and end up taking a small buck for the freezer! been having trouble with, these videos are for you!